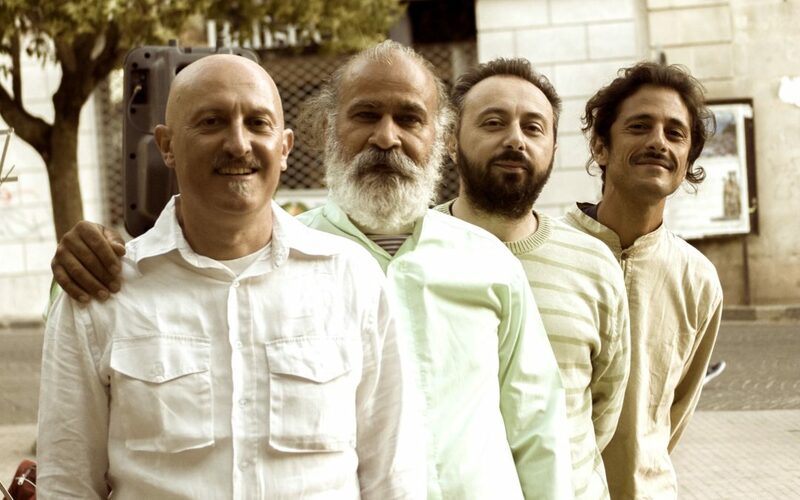 Sangumit is a musical project born in 2015 in Catania (Sicily, Italy), focusing on bringing together many different musical repertoires. form the main body of the concert, which develops a magical flow of music from Calabria, Sicily and Persia. Music which has survived from the past yet is able to continuously recreate itself; its power to adapt as it has been passed down through men from different ages, to become fully contemporary. The instruments used in the concert are entirely acoustic, the sounds are those of southern-Italian bagpipes and frame drums, calabrian “battente” guitar and lira, persian setar and tombak, sicilian friscaletto and marranzano, and other instruments which lend to the shared beauty of this diverse repertoire.